We are a division, even a sport, looking for a resurrection! Our numbers have dwindled at a steady rate during my twenty years of bowls (yes, even if I am only 37). This is too amazing of a sport to let it become a footnote in some historical record. During my two years of Presidency, I will give my best effort, along with a great board & marketing team to help this sport embrace our technologically advanced & short attention span society! We, as the NED, shall become more visible at all the clubs. I am going to try my hardest to visit every club (even with a young family) cause I know this sport is worth saving! We are planning coaching classes, clinics, taking requests for emergency funding, having a very updated website, a great Facebook page, new banners & flyers, keeping our NED members in the loop for whats going around the country, encouraging travel around the country to meet & play this wondrous sport....just to name a few ideas! ​To participate, click here to download the form under the 2016 Tournament Schedule. ​10 teams turned out in Dupont on Saturday June 25 for the Miller pairs. While the green was slow (between 8.5 to 9 secs), it played very well and the weather was good. 4 teams finished with 3 wins and played off for 3rd place. Maurice Lafond and Jerry Demello defeated Bill & Annette Borrowitz with Colin Edgar and Ed Last defeating Alan Winson and Jeff Lederer. In round 2, Colin Edgar and Ed Last claimed 3rd place in the event with a win over Maurice & Jerry. 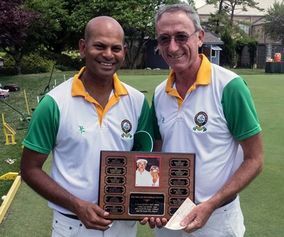 Congratulations to all that played and a special thanks to the Dupont Country Club for their hospitality. 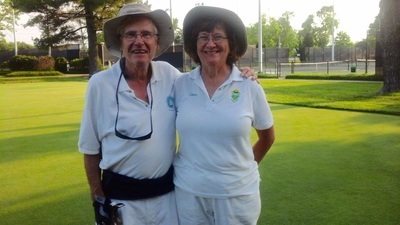 The Ron Buck Singles was played on Saturday June 4th at Dupont LBC in Wilmington DE. Due to the poor forecast for Sunday it was decided to shorten the event to a single day. We played 4 rounds of 15 points and Patrick Duffy was the only undefeated bowler. Thanks for all of the help in putting out/away the boards. Teamwork makes the job so much easier. 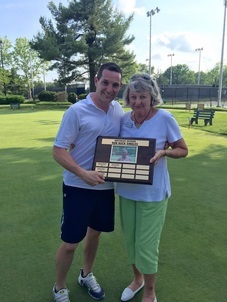 Thanks also to Betty Lou Buck who presented the plaque and also augmented the prize money. Thanks also to Tee and the Dupont club for hosting. 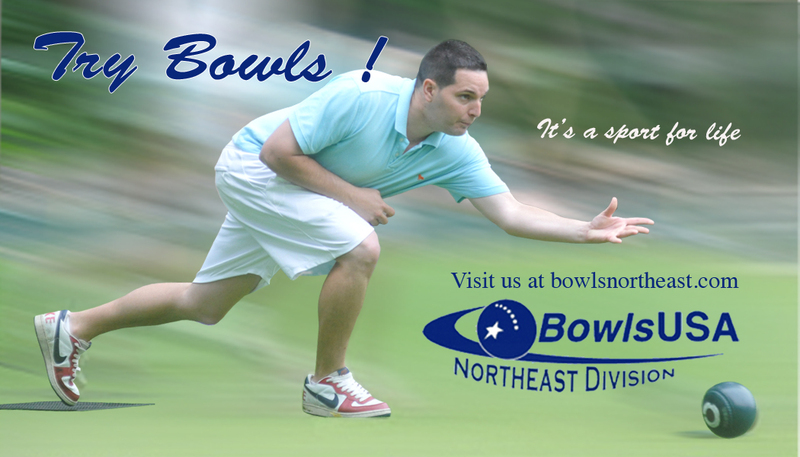 Stretched from New England to Southern Virginia and out to Western Pennsylvania the Northeast Division is the birthplace of lawn bowls in the United States of America. 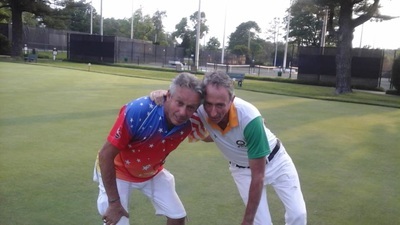 In the early 1900's the American Lawn Bowls Association was formed in Buffalo, NY and continues today as BOWLS USA with clubs spanning from coast to coast. Our division is a very active one with tournaments nearly every other week during the summer as well as an annual week-long open tournament with potential visitors from all over the globe. The Northeast Division supports a strong local club base and encourages clubs to join and spread their wings to other clubs and more competition. We support clubs who foster strong camaraderie, league play and social events throughout the year and who seek to promote and grow the sport for future generations to enjoy. The Northeast division has a long tradition of excellence with several national champions and even a world champion in its past and current membership. All the clubs welcome guests who want to try out this sport and joining is easy. 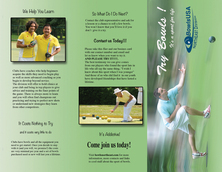 Contact us today and we'll get you started in a game that you can play and enjoy for a lifetime. 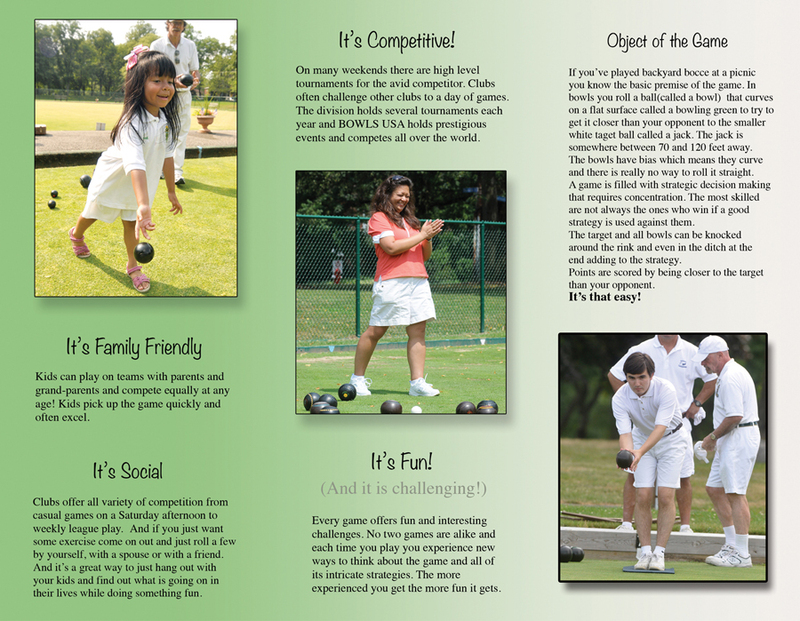 It is a great family game with husbands and wives playing at the same time with their children. It is not unheard of to have three generations all playing on the same green. We all have witnessed 12 year olds competing against 80 year olds, grandfathers against grand-daughter and brothers teaming up for 2 and 3 decades. It is truly a sport one can play and compete at a high level for many many years. The most common phrase we hear from new members who came to the game in retirement is, "I wish I knew about this game before!" Come give it a try! We belong and so do you! In keeping with the new direction of our national body changing the name from the United States Lawn Bowls Association to BowlsUSA and developing a new brand and logo, we have changed our logo to reflect this new direction. We will be working on new strategies for growth as the feedback from clubs are being reviewed by our new Strategic planning committee. New name and new outlook on the horizon! A letter from BowlsUSA (formerly the USLBA) President Heather Stewart. 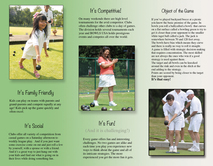 Download the laws of the sport of bowls here! There is a rich tradition of excellence in the Northeast division. Click here to see our Hall of Fame and read a little about some of our members who have achieved National recognition. 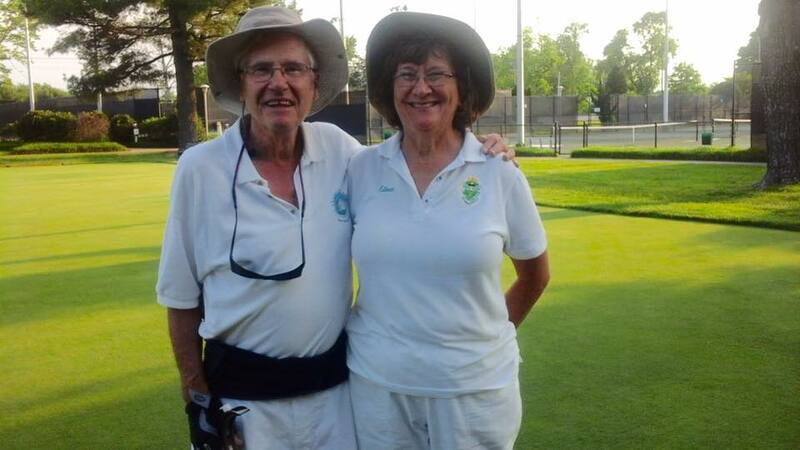 The video below was created by Charlie Hebert, who is an avid bowler and champion with an extreme interest in promoting lawn bowls. Thanks Charlie from your friends in the Northeast! 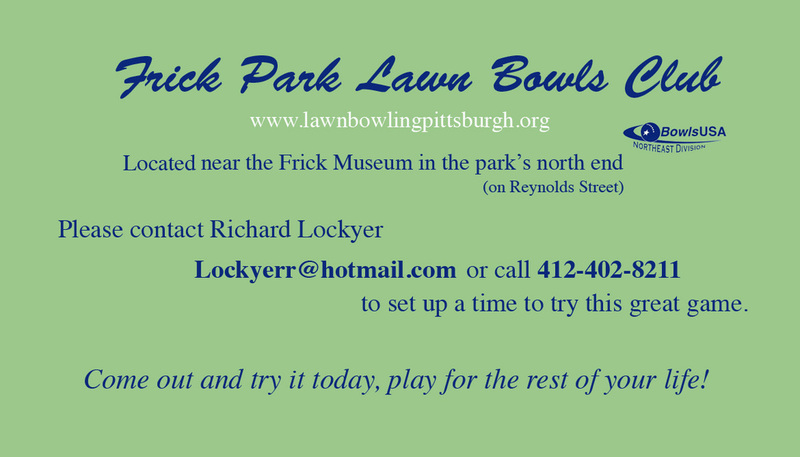 We developed a new promotional flier and business card that will hopefully help spread a positive awareness of our sport around the communities that have bowling greens. This is our first new step towards working with clubs to build membership. The fliers are tri-fold and are meant to be used in combination with the business card with each club's contact. Currently, Frick Park, Essex and Fernliegh LBCs have been issued cards and we will work to get more clubs involved. You can click on each individual image on the bottom to enlarge.